Engineer/Consultants | Ric-Man International, Inc.
"Professionalism and expertise are found at all levels throughout Ric-Man International, Inc., from Rene L. Castillo, general manager, to the construction personnel." 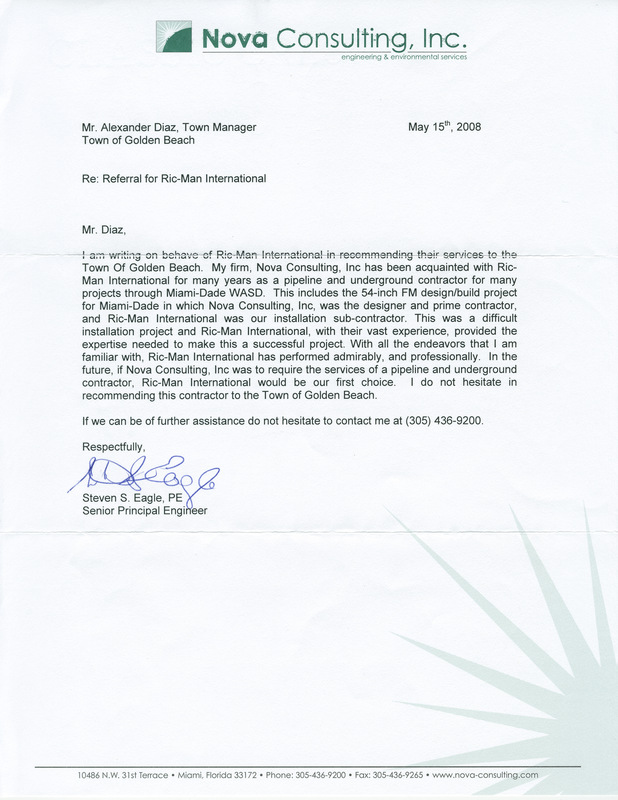 "We have a great working relationship with Ric Man International, Inc. and seek their assistance for determining practical solutions to many difficult scenarios that arise during the course of any Project. They have always been helpful to us in cost analysis for other than normal construction applications." "This was a difficult installation project and Ric-Man international, with their vast experience, provided the expertise needed to make this a successful project." Senior Principal Engineer, Nova Consulting, Inc.